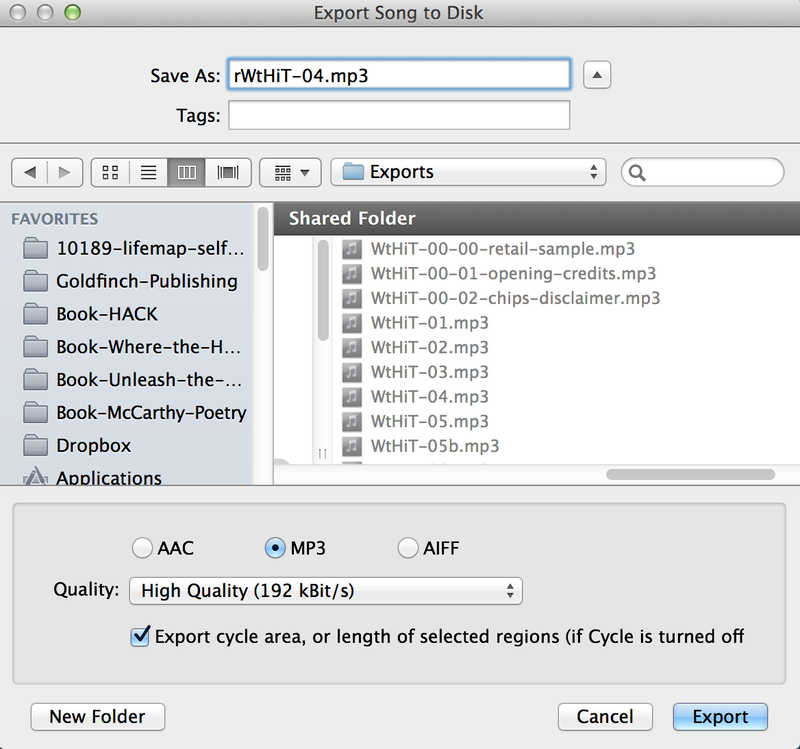 It’s got all my settings for a Master Track and a”Chapter 1″ track for your audiobook. Just load it up and give it a go! • 2. 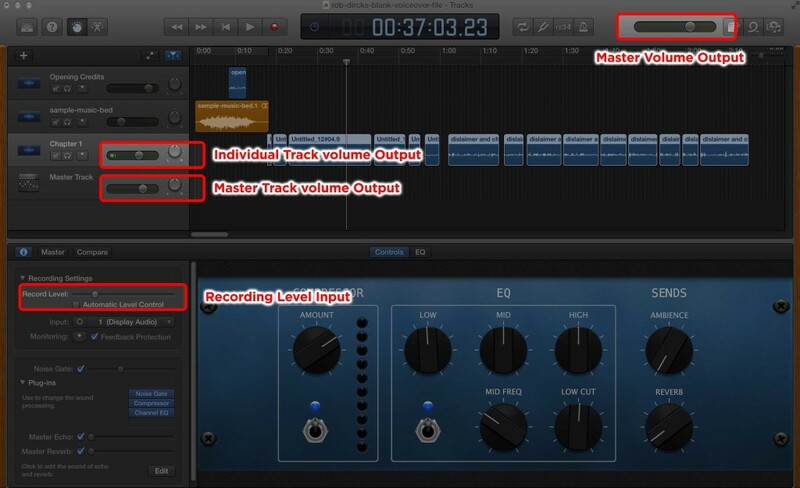 Here are some Garageband screen shots/descriptions showing the settings and the (built-in) plugins that I used. 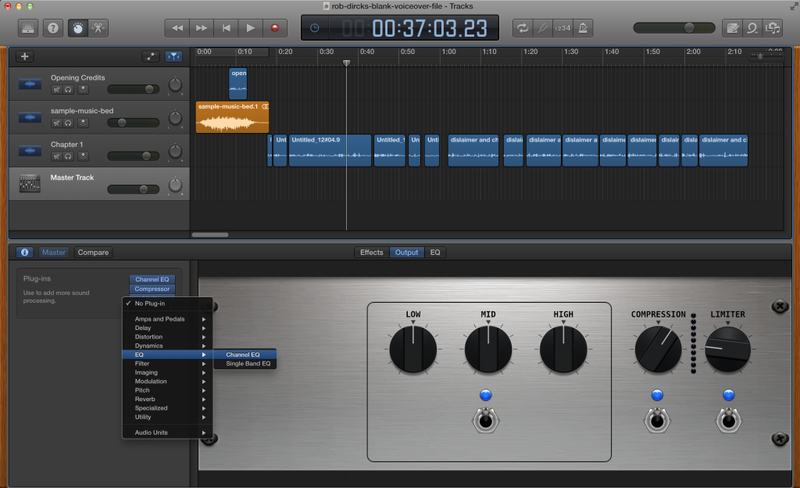 Special note: I am NOT a professional sound editor. I do have lots of experience recording voiceover and music, with professionals, but I’m the first one to say I don’t know everything, just enough to be dangerous, and for higher-end stuff I usually have other people at the controls. So if you see something here that looks wonky or wrong, let me know and I’ll update/fix it, so you’re more prepared to record your own audiobook. 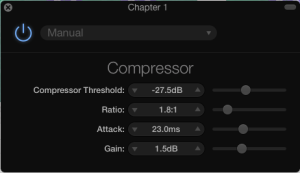 You’ve got so many different places you can affect the volume: the Record Level on your input, and then for output you have your Master Track, Your individual Chapter tracks, and your Master volume. 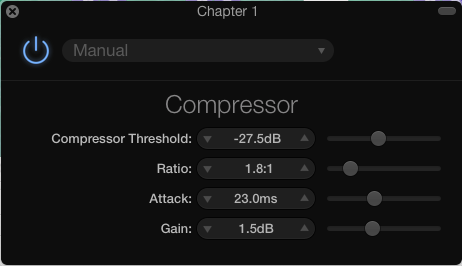 That’s a volume output that tends towards the upper-mid-to-high end of green, extends into the yellow for peak moments, but never goes into the red (though your Compressor and your Limiter should eliminate that anyway). I know this all sounds inexact, and it is, but it worked great for my audiobook, and I haven’t gotten a single comment from listeners about volume issues. I received a comment recently from someone concerned about the ACX / Audible.com “mastering” requirements. I’m not sure what they mean by this, as I didn’t do anything extraordinary on these files and they worked out great. As I showed above, I simply played with plugins on the Master and individual tracks. 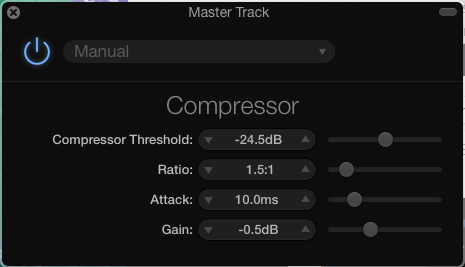 I guess you could call that mastering. (?) 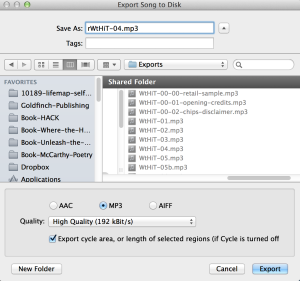 Then, I literally just exported with Share > Export Song to Disk > MP3/HighQuality 192 kBit/s. Boom. Done. My files, using the settings above, went through no problem. There were a couple of chapters that they kicked back, because I didn’t leave enough head and tail (beginning and end) silence. So I’d recommend a healthy 3 seconds of absolute silence at the beginning and end of each chapter. 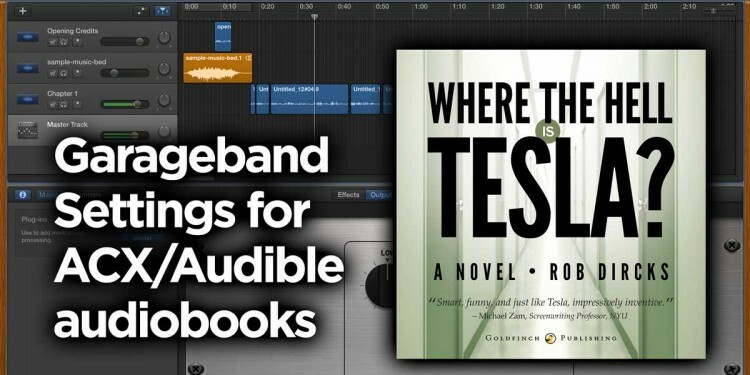 Good luck recording your own audiobook! You are an absolute lifesaver! 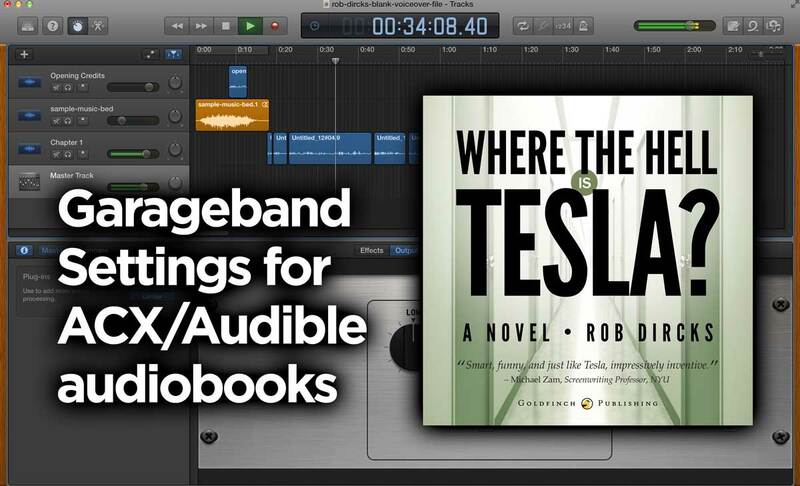 Thank you so much for this post – I’m just about to record my first audio book and trying to figure out how to use Garageband correctly has been a nightmare! Hopefully I’ll be able to find all the settings you mention!